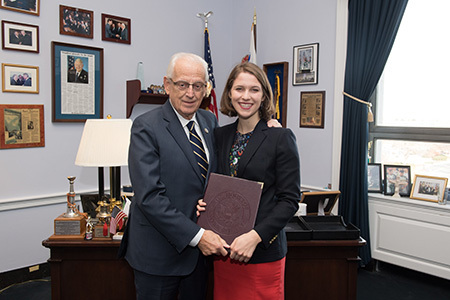 Five students and/or recent graduates will be selected as NIAF Congressional Fellows and will travel to Washington D.C. to work in a Congressional office during the fall of 2019. 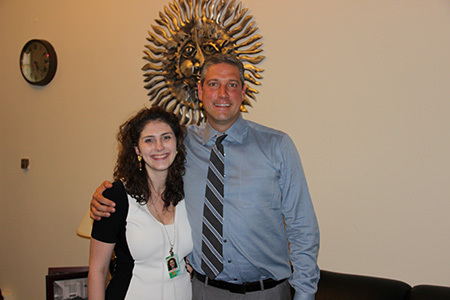 NIAF will award fellows with a stipend of $1000 to aid with travel and living expenses while in Washington. Fellows will also receive training at NIAF headquarters and will be invited to participate in NIAF events throughout the fall, including NIAF Public Policy Forums and our 44th Annual Gala Weekend from October 31- November 3. This fellowship serves as an opportunity for first-hand experience in public service for the next generation of Italian American political leaders. Fellows will learn about the legislative process, issues facing Congress, and the operations of a Congressional office while working for an Italian American leader who has climbed the ladder of public policy success. 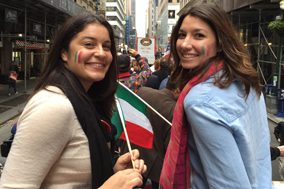 NIAF is nonpartisan and serves as an important voice for Italian Americans in Washington, DC. 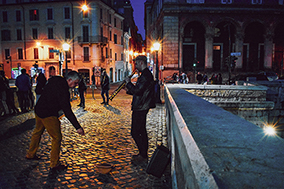 The Foundation works closely with Congress, The White House, the Department of State, the U.S. Embassy in Rome, and the Embassy of Italy in Washington to promote Italian American heritage and serve as a bipartisan educational foundation. As a unified voice on issues of importance to Italian Americans, the Foundation builds relationships with key decision makers on behalf of the Italian American community and serves as a resource and thought leader for politicians, policy makers, and diplomats. 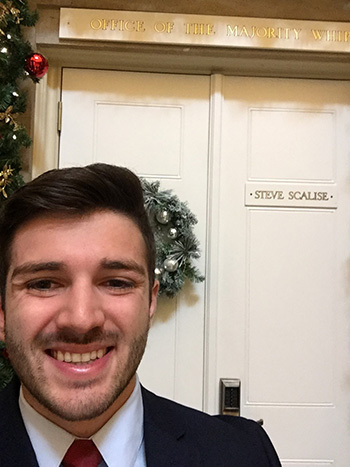 outside the office of Majority Whip Steve Scalise. 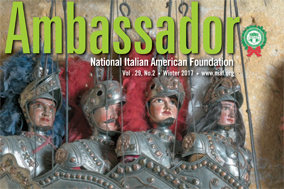 Students must be members of the National Italian American Foundation. Not a member? CLICK HERE to join today! 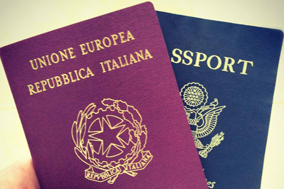 Students must have at least one Italian great-grandparent. Students must provide TWO references who are either current/former employers or supervisors or current/former professors. Please do NOT include family members. Preference will be given to students who have never previously held an internship on Capitol Hill. IMPORTANT: NIAF will only accept online applications (no exceptions). Application Open: CLICK HERE to apply!